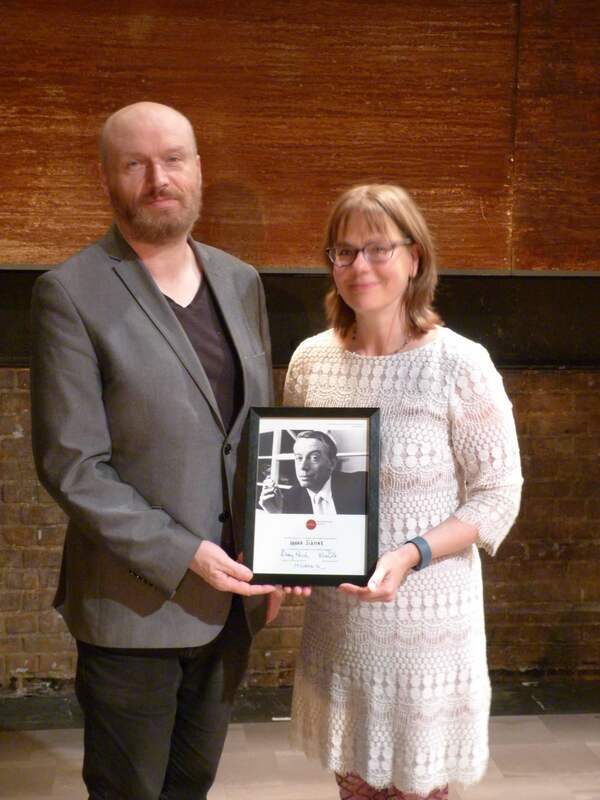 Tinderbox Dramaturg Hanna Slättne was awarded the prestigious Kenneth Tynan Award at a ceremony in London on Sunday evening. The award was presented to her by playwright Mark Ravenhill and is a biannual event hosted by the Dramaturgs’ Network. The Kenneth Tynan Award is the first to recognise excellence in the field of dramaturgy in the UK. It is named after Kenneth Tynan (1927 – 1980), the first dramaturg in the United Kingdom. Tynan joined Laurence Olivier at the newly established National Theatre where he worked between 1963 and 1974. The award is given to one outstanding theatre (or dance) professional working in the field of dramaturgy, residing in the United Kingdom. Applicants for the award are nominated by the public and the winner is chosen by the Kenneth Tynan Award Panel. The award is supported by the National Theatre, London and is sponsored by Oberon Books.